Is summer hitting the Korean peninsula earlier than usual? As the average temperature goes up to 30 degrees Celsius on May 15, people in the country are alerted of the upcoming summer heat. If you find yourself in need of something to cool down the heat this summer, we suggest Han River’s water fountains, the urban oasis you can find in Seoul. 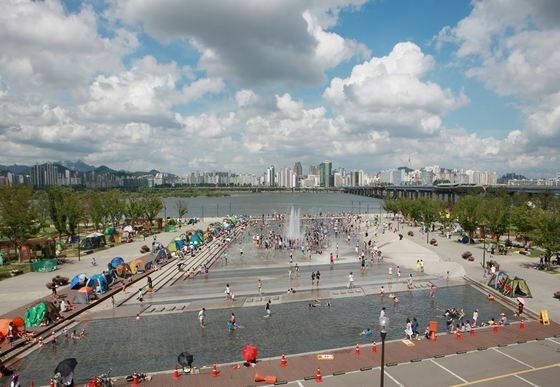 The city of Seoul officially turned on the nine water fountains in Han River parks. 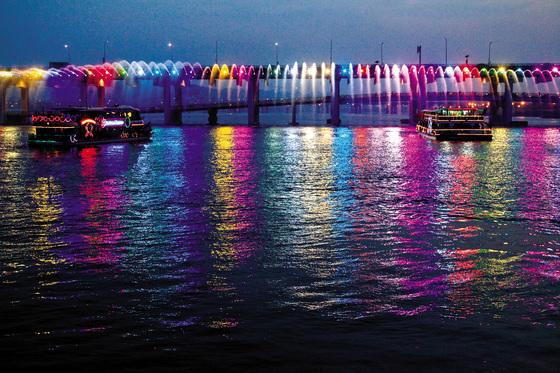 Banpo Bridge’s Moonlight Rainbow Fountain, which was listed on Guinness Book of Records for its 1140-meter-long length, and Yeouido Park’s Mulbit Square Water Fountain will be operated until October 28. 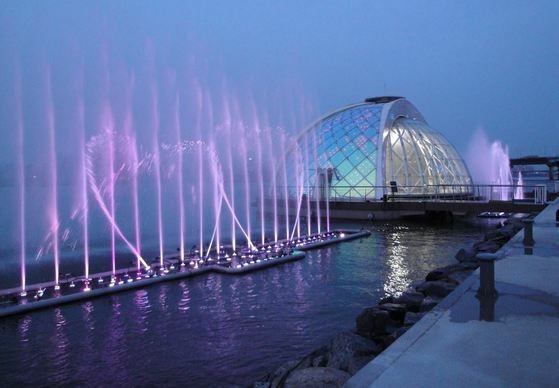 Ttukseom Park’s Music and Sculpture Fountains, Yeouido Park’s Floating Fountain and Waterfall of Light, Nanji Park’s Mirror Fountain, Ichon Park’s Waterfall will be operated for the same period. World’s longest water fountain, Moonlight Rainbow Fountain is an 1140-meter-long light-emitting fountain installed on Banpo Bridge. Fascinating lights and music make the fountain shine even prettier by night. Mulbit Square Fountain is located on the way connecting Yeouido Park to Han River. The slope of the land enables water to flow to the direction of Han River. Lights installed on the floor in the water create beautiful scenery. Fountains installed by the park’s Floating Stage, the two Floating Fountains are designed to present a multimedia show using water, lights, sound, and video. The fountains create a perfect synergetic effect for shows of the stage. Ttukseom Park’s dancing water fountain changes its shape and color to the beats. The 2800 square-meter wide water fountain shoots water up to 30 meters high. When the fountain is not operating, water is stored on the site to make a pond. The installed water screen is used to present a fountain show, as well as a screen to reflect videos. 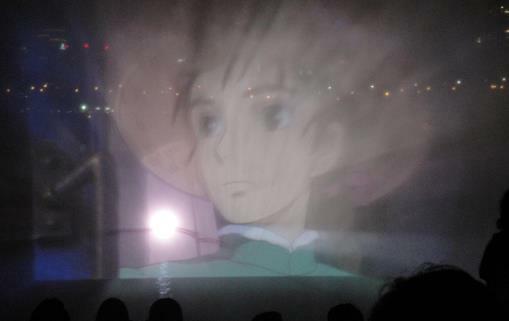 During the period of operation, movie screenings are available every weekend. Luxurious fountains show energetic movements to the music. The water playground here attracts family-unit visitors.